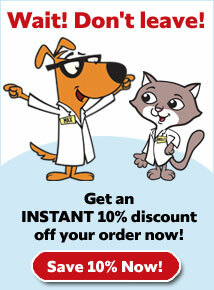 What is Wellness CORE Dry Dog Food? 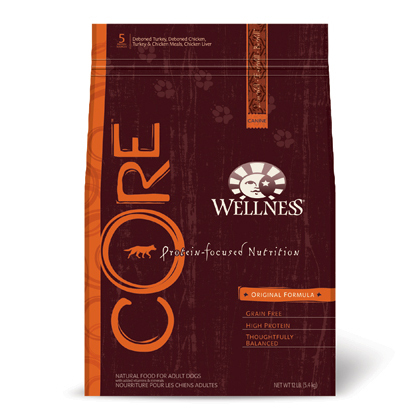 Wellness CORE is a grain-free and protein-focused dog food offering essential nutrients to maintain your dog's health. The high levels of protein are sourced from 5 different animal protein sources (deboned turkey, deboned chicken, turkey meal, chicken meal, and chicken liver). Compared to traditional dog food brands that use grains as the bulk of food, Wellness CORE contains up to 80% more meat while also maintaining mineral and fat levels to ensure there are no excess calories. Wellness CORE offers exceptional amounts of animal-sourced protein without the excess calories and fat many other high protein dog foods have. 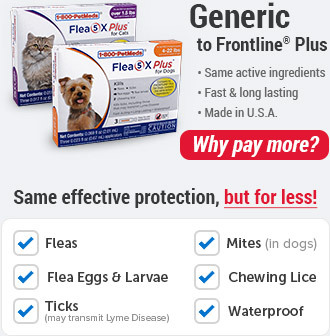 By balancing the nutritional levels in this food, more nutrients stay inside your dog's body and are not wasted, which also means less stool. 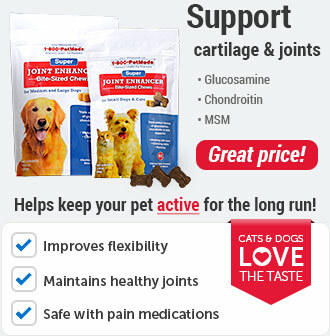 Each ingredient used in Wellness CORE is included to provide a benefit to your pet's health. The high quality ingredients help provide your pet with balanced nutrition and also make Wellness CORE appropriate for everyday feeding. CORE is highly palatable, so your dog may tend to eat more of this food. Watch initially to see if you need to adjust regular eating patterns. 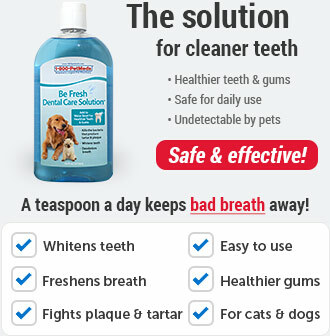 Make sure to give your dog access to clean, cool fresh water at all times. It is important to slowly transition your dog from his/her current diet as it takes awhile for the body to adapt to the new nutrient levels. To transition, gradually mix in the new food over a 5-7 day period, increasing the amount of Wellness CORE each day, so that you are feeding 100% new food by day 7. 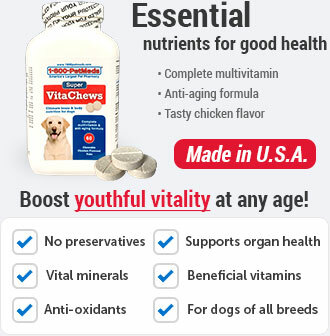 The nutrient levels of this food are appropriate for adult dogs over 1 year old. We do not recommend feeding this formula to puppies as they have special nutritional requirements during their growth stage. 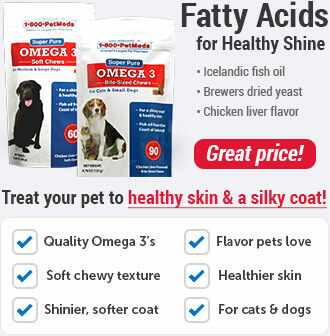 Ingredients: Deboned Turkey, Deboned Chicken, Turkey Meal, Chicken Meal, Potatoes, Dried Ground Potato, Tomato Pomace, Natural Chicken Flavor, Canola Oil, Chicken Liver, Salmon Oil, Flaxseed, Carrots, Sweet Potatoes, Kale, Broccoli, Spinach, Parsley, Apples, Blueberries, Vitamins & Minerals, Chicory Root Extract, Yucca Schidigera Extract, Glucosamine Hydrochloride, Chondroitin Sulfate, Dried Lactobacillus plantarum, Enterococcus faecium, Lactobacillus casei, Lactobacillus acidophilus Fermentation Products, Rosemary Extract. This is a naturally preserved product.